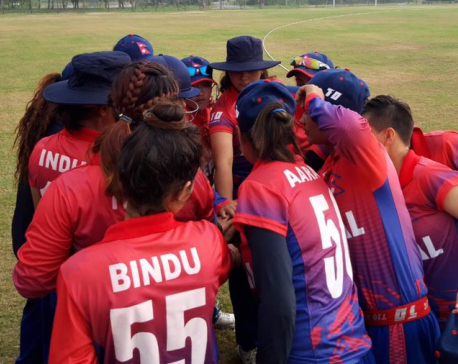 KATHAMANDU, Jan 19: Skipper Rubina Chhetri picked up four wickets in 3.1 overs conceding two runs register a win by 92 runs against Indonesia in the first semifinal of Thailand Women’s T20 Smash played at Terdthai Cricket Ground in Bangkok, Thailand on Friday. Nepal team that gave the target of 119 runs bundled out Indonesia just for 27 runs in 11.1 overs to book its place in the final to be played on Saturday. 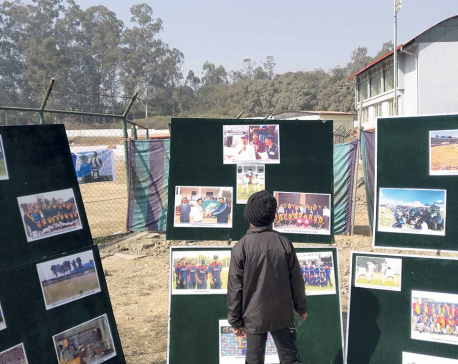 It was Nepal national women cricket team’s first win by runs margin after gaining the T20 international status at the start of the year. Player of the match Chhetri was supported by Kabita Kunwar, Nary Thapa, Sita Rana Magar and Sarita Magar’s a wicket each. Yulia Anggraeni top-scored for the losing side with 13 runs while 10 players were dismissed for single-digit scores including four duck outs. Earlier, Indonesia won the toss and invited Nepal to bat first in the semifinal match. Sita Rana Magar led the batting duties scoring 48 runs at top of the innings. She faced 62 deliveries scoring a boundary. runs for the loss of three wickets at the end of 20 overs. Wicket-keeper Kajal Shrestha contributed 14 runs whereas Nary Thapa was dismissed for five runs. E Eduard and Rada Rani shared a wicket each for Indonesia. Nepal will face Thailand for the trophy on Saturday. The home team defeated the United Arab Emirates by 49 runs in the second semifinal match played at Asian Institute of Technology Cricket Ground, Bangkok on Friday.